Since Diana started working on the Westside in 2002, she became a true neighborhood expert. With a genuine passion for growth and superior levels of service, Diana prides herself on being an organic extension of her clients.  Through creative energy, elite negotiating skills and extensive industry knowledge, Diana delivers the most dynamic elements to elevate your real estate experience. Diana considers herself to be extremely fortunate to have a life in the ocean community of Santa Monica Canyon. But never one to stay in one place, Diana is constantly exploring new avenues of growth and knowledge. Whether traveling Europe with her partner and three children, or finding the nexus between old age techniques and new age technology, she has one goal in mind: to make things better today than they were yesterday. Diana was recommended to me by dear friend who knows real estate- and until then I had no idea how wonderful a realtor could be. If you are interested in buying or selling your house and you want someone who's smart, hardworking, knowledgeable, and gets the job done - look no further. I found Diana to be incredibly proactive at EVERY stage, leaving no room for negative surprises. You'll be in VERY good hands if you work with her. Diana is simply the best. Working with her changed my entire feeling and understanding of what a broker can be. She has impeccable taste, is gracious and fun. I really appreciated how 'in touch' she is with us during each transaction. Knowledgeable, friendly, professional, flexible, easy to work with.